Last week, New Jersey charged eight businesses with gouging customers with exorbitant prices after Hurricane Sandy — seven gas stations and a hotel. What struck me as curious was the relatively low increases that were the basis for the change, including an eleven percent increase. There has always been some academic debate over the concept of gouging which rests uneasily with economic principles of scarcity of demand. Some businesses privately argue that they should be able to raise their prices to reflect scarcity of products, which should rise with demand. Under the scarcity principle, the price for a good rises until an equilibrium is reached between supply and demand. Gouging laws, however, treat such increases as abusive treatment of desperate consumers. Thus, if you sell batteries and happen to have wisely stored an inventory of such items before a storm, you cannot reap the expected profits by increasing the price of the product. In one of the cases, an owner of a Howard Johnson Express was charged with gouging for simply raising its prices from $90 to $119 — just shy of $30 dollars or 32 percent. The prosecutors insisted that such small increases were still gouging absent a showing that the defendants faced added costs. What is interesting is one case involved just an 11 percent increase — or one percent above the permitted increase under state law. The law does not keep most businesses from increasing their prices, just those businesses deemed essential for living. The law covers “goods or services which are consumed or used as a direct result of an emergency or which are consumed or used to preserve, protect, or sustain life, health, safety, or economic well‑being of persons or their property.” The freeze on pricing for these business extends for “45 days from the triggering event.” New Jersey uses a 10 percent benchmark for increases. The defendants face fines of up to $10,000 for their first offenses and $10,000 for subsequent offenses. I understand the purpose of these laws to protect consumers, but I wonder if the ten percent line is a bit low as a threshold. What do you think? § 75‑38. Prohibit excessive pricing during states of disaster, states of emergency, or abnormal market disruptions. (a) Upon a triggering event, it is prohibited and shall be a violation of G.S. 75‑1.1 for any person to sell or rent or offer to sell or rent any goods or services which are consumed or used as a direct result of an emergency or which are consumed or used to preserve, protect, or sustain life, health, safety, or economic well‑being of persons or their property with the knowledge and intent to charge a price that is unreasonably excessive under the circumstances. This prohibition shall apply to all parties in the chain of distribution, including, but not limited to, a manufacturer, supplier, wholesaler, distributor, or retail seller of goods or services. This prohibition shall apply in the area where the state of disaster or emergency has been declared or the abnormal market disruption has been found. 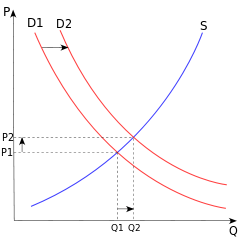 (1) The price charged by the seller is attributable to additional costs imposed by the seller’s supplier or other costs of providing the good or service during the triggering event. (2) The price charged by the seller exceeds the seller’s average price in the preceding 60 days before the triggering event. If the seller did not sell or rent or offer to sell or rent the goods or service in question prior to the time of the triggering event, the price at which the goods or service was generally available in the trade area shall be used as a factor in determining if the seller is charging an unreasonably excessive price. (3) The price charged by the seller is attributable to fluctuations in applicable commodity markets; fluctuations in applicable regional, national, or international market trends; or to reasonable expenses and charges for attendant business risk incurred in procuring or selling the goods or services. (b) In the event the Attorney General investigates a complaint for a violation of this section and determines that the seller has not violated the provisions of this section and if the seller so requests, the Attorney General shall promptly issue a signed statement indicating that the Attorney General has not found a violation of this section. (c) For the purposes of this section, the end of a triggering event is the earlier of 45 days after the triggering event occurs or the expiration or termination of the triggering event unless the prohibition is specifically extended by the Governor. (d) A “triggering event” means the declaration of a state of emergency pursuant to G.S. 166A‑8 or Article 36A of Chapter 14 of the General Statutes, the proclamation of a state of disaster pursuant to G.S. 166A‑6, or a finding of abnormal market disruption pursuant to G.S. 75‑38(e). (e) An “abnormal market disruption” means a significant disruption, whether actual or imminent, to the production, distribution, or sale of goods and services in North Carolina, which are consumed or used as a direct result of an emergency or used to preserve, protect, or sustain life, health, safety, or economic well‑being of a person or his or her property. A significant disruption may result from a natural disaster, weather, acts of nature, strike, power or energy failures or shortages, civil disorder, war, terrorist attack, national or local emergency, or other extraordinary adverse circumstances. A significant market disruption can be found only if a declaration of a state of emergency, state of disaster, or similar declaration is made by the President of the United States or an issuance of Code Red/Severe Risk of Attack in the Homeland Security Advisory System is made by the Department of Homeland Security, whether or not such declaration or issuance applies to North Carolina. FYI, how Ron Paul views it . . . I feel sorry for Bron here. He is a lone capitalist voice among many fiscal socialists. In practice it is a tough call. I guess one would have to access the actual state of emergency and of exigency. If lives are truly at stake, and not just comfort, then a state of emergency exists and I think non-capitalist standards might apply. Anything shy of that, and I have to agree with Bron. If you charge too too much you will simultaneously alienate buyers, will encourage importing from other locales, risk violent outrage, and suffer the animosity of the community after the situation has ameliorated. But, if a seller decides to steel himself under all those reactions, I say there should be no law against it. It is his property and he should be able to do with it as he pleases. Saying otherwise smacks exactly what it was like under soviet and Maoist regimes that made it an outright crime to profit in trade. No electricity screws up a lot of things. I’m sure many pumps were not working. I think the better question is why there is no gas in the first place. It’s not like the roads were blockaded. I believe 10% is a bit low though I can understand some reasonable limit. I would have an issue with what constitutes an “emergency”. If it is to overly broad it becomes a form of arbitrary price control. we could reimburse them if it didnt work out. We are trying to figure out how best to get goods and services to where they are needed. Why not let the market work and see what happens? It couldnt be any worse than it is now and was during Katrina. OK then, just destroy my house and see how fast I get everything I need if I tell people I will pay double or triple their normal price. I would have everything I need in a day and a half. Probably not even that long. The principle still works for New York, it would just take a little longer depending upon the distance the goods are shipped. I just called the manager at my local Home Depot and told him I need a generator today and I was willing to pay 3 times his normal price to get it here by 5 pm, he said how is 4:30? Perfect embodiment of the fossil fuel industry in a world of environmental hurt. Apparently you would like to be able to identify the profiteers by the trail of the dead. Seriously, that is one screwed up wish. If peoples lives are truly at stake, you dont charge for the gas. If they are running from the red hordes then by all means give them the gas for free and anyway you arent going to be around either because you are fleeing too. But you might want to blow your pumps so those pesky reds cant have any gas to help them kill your friends. I wish just once people would let price gouging take place during a disaster to see what actually happens. As mark1 said above, if keeping prices low is a good thing then lets have government set prices for everything. That would be the best thing for society, right? First, did JT mean “charge”, not “change”? Second, ALL price gouging should be illegal. In fact, prices should go the other way when refugees have no money. In an emergency, stores and hotels should have a legal obligation to provide help, and be able to claim reimbursement (at their standard prices) from the government or insurance companies just as homeowners can after property damage. For example, a hotel’s flood insurance should also cover refugees from flooding who need a place to stay. Yes, those who have the ability to pay should pay. But how about a little basic civility in cases of desperation? Correct me if I’m wrong, but isn’t there a law that says people can dock their boats on others’ private property if a storm approaches too large for their vessel? That safety trumps others private property during an emergency or disaster? Why shouldn’t the same apply to those on land? I am always tickled to read a discussion of profiteering during a state declared emergency, especially when that discussion is steered towards the threshold of what constitutes an acceptable percentage to establish the so called ethics of profiting -v- profiteering. It’s a great way to reveal an otherwise closeted Ayn Randian. I am in the south. Down here, everybody and their kid has some kind of firearm. We have hurricanes.